Cool Shield services are designed to support design, construction and maintenance of cold and hot aisle containment for mission critical facilities. We take pride in providing our services to hundreds of new and existing small to enterprise-level data centers across the country. We provide our clients with turnkey containment solutions that meet their current and future. As one of the first companies to offer aisle containment services, we continue to provide our clients with the highest level of experience, expertise and trust. Learn more about our how we can help you optimize your data center. Cool Shield has a nationwide professional installation network that is unmatched in both experience and capabilities. 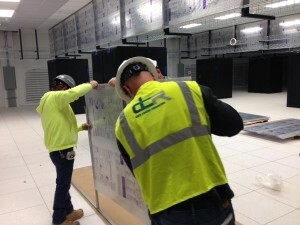 Data Center Resources was one of the first companies to offer Aisle Containment solutions in the data center market. Over the past few years, we have installed solutions in hundreds of various companies’ hot and cold aisles. Our projects range from retrofit solutions in small server rooms to new build-outs of some of the largest data centers in North America. Regardless of whether we are working on a project for a Fortune 500 company or a small start-up, we always provide the same level of service and support to all of our customers. Our extensive experience in project management, designing, planning and executing is what sets us apart from the competition. Our proven track record continues to show our customers that Cool Shield has the most versatile solution available for containing cold or hot aisles in the data center. 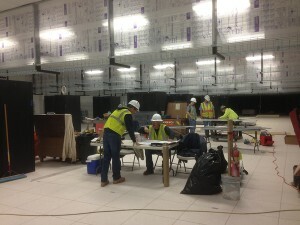 This ability to adapt to any site conditions and customer requests is one reason we are trusted by contractors and architects for the build outs of many of the largest new data centers in the Country. However, the product itself is only part of the equation. Our experience in planning, coordinating, installing and servicing a large project is a major reason why our customers continue to work with us. For any size project, our customers can be assured that the product will function properly and the job will be completed on schedule. Cool Shield’s versatile aisle containment design is well suited for overcoming the obstacles and challenges when installing within existing server cabinet rows. With well over 100 large-scale installations, Cool-Shield has more experience than the competition with aisle containment design and installation in the data center market. 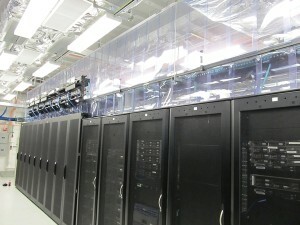 The majority of these projects have been within existing data centers, though every site evolves in its own way to provide unique challenges to properly sealing the air flow in the hot or cold aisle. The versatility of our product and the experience of our Project Managers allow us to design effective solutions which eliminate or minimize site challenges better than any other solution on the market.